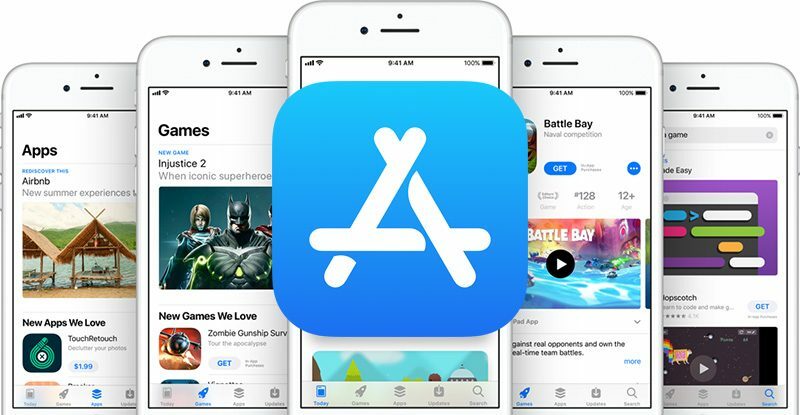 The Netherlands Authority for Consumers and Markets, or ACM for short, today announced that it will investigate whether Apple abuses its position in the App Store by, for example, giving preferential treatment to its own apps. ACM says the investigation will initially focus on Apple because the majority of anticompetitive allegations it has received from other companies and developers have been about the App Store. More specifically, the investigation will revolve around Dutch apps for "news media" available in the App Store. To a large degree, app providers depend on Apple and Google for offering apps to users. In the market study, ACM has received indications from app providers, which seem to indicate that Apple abuses its position in the App Store. That is why ACM sees sufficient reason for launching a follow-up investigation, on the basis of competition law. However, the antitrust watchdog stresses that Apple is innocent unless proven guilty, and also encourages developers to come forward if they experience similar problems with Google's Play Store. ACM launched the investigation upon completion of its market study that explores the influence of app stores. For numerous apps, the watchdog found that no realistic alternatives to the App Store and Play Store exist, potentially giving Apple and Google the opportunity to set unfair conditions. On the one hand, Apple and Google have an interest in offering many different apps from app providers in their app stores. On the other hand, however, Apple and Google are app providers in their own right, too. So their apps compete with those of other market participants. These competing interests may pose antitrust problems. ACM cites unnamed developers who say they do not always have a fair chance against Apple's and Google's preinstalled apps on mobile devices, must use Apple's and Google's in-app purchase mechanisms for digital goods and services, have difficulties communicating with Apple and Google, and more. Many of these issues are at the core of Spotify's recent complaint with the European Commission over Apple's App Store practices. Last month, the streaming music company accused Apple of "acting as both a player and referee to deliberately disadvantage other app developers" that it competes with. The investigation's initial focus on Dutch news apps is a rather narrow one, especially considering that Apple News is not yet available in the Netherlands. But, the premise seems to be that Apple News is a preinstalled app while other news providers must go through the App Store and pay Apple's "tax." As the ACM notes, apps have become an increasingly important part of daily life, so it will be interesting to see how these investigations play out and how they impact the future of the App Store and Play Store. Apple didn't immediately respond to a request for comment from Bloomberg, which first reported the news. Update: In a statement issued to CNN, Apple said it is "confident" the probe "will confirm all developers have an equal opportunity to succeed in the App Store." Does Walmart give preference to the store brand products. Yes they do. It would be stupid on their part not to. But you can choose to go to another store, there's no other official way to get iOS apps other than the App Store itself. Didn’t even know the Netherlands cared. Outside of the US there are many countries with laws designed to protect people, not corporations. Another recent example is EA's gambling mechanics in their games being challenged by Belgium. But you could have chose android. No forces you to use Apple. If Apple owns the AppStore they should be able to do as they choose with it. Apple is not a monopoly. You're the first person to bring up that word. This is about competition laws. “Only platform on iOS” is as relevant as the fact that the only place you can get Big Macs is mcdonalds. It doesn’t matter. A monopoly actually has a definition. Can you set prices irrespective of the demand curve. And as recent evidence shows us, apple certainly cannot. Worst analogy ever. Does McDonalds also sell Whoppers with a 30% tax? The definition of monopoly is completely irrelevant if Netherlands competition laws aren't based on that term. It's an American concept that you can freely engage in unethical anti-consumer behaviour so long as you only have 49% of the market. I don’t think I can ever read “watchdog” without imagining an actual canine. No, they aren’t free to do anything - they still have abide by the laws of each country they offer the AppStore in. Define monopoly? There is more than marketshare.... The appstore is still a dominant platform (and only platform on ios). Consumers do not easily switch from the appstore to the playstore? Which is it competitor...kinda? And don't forget the vendor lock in which Apple does very well. Notification 1 "Enjoy Apple Music free for 3 months"
Notification 2 "Give Apple Music a chance, you won't regret it"
Notification 3 "Listen to the Music you love with an Apple Music subscription". Locks iPhone... "we have reached a conclusion in our investigation".